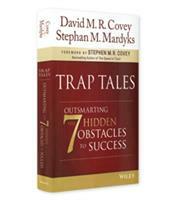 Authors David M. R. Covey and Stephan M. Mardyks highlight seven obstacles to success. These “traps” offer momentary gratification but ultimately hold you back from progressing toward your goals. 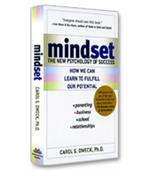 The authors offer lessons on how to escape these traps and sidestep them in the future. Learn the seven biggest traps in life and work that catch people unaware, and how to identify the traps that are holding you back right now. No filtering of the constant flow of incoming information and entertainment and, thus, no focus on what truly deserves your energy, time and attention. Demand for instant gratification, failing to realize that the best things in life take time. The conventional approach to the Focus Trap is to learn how to juggle better. The authors disagree, arguing that a more productive approach is to realize that we cannot do it all, to filter out the unimportant from the important and to learn how to say no. Learning how to filter out the unimportant and to say no are what the authors call epiphany breakthroughs — i.e., unconventional but practical strategies for resolving the traps. The Relationship Trap. Too many couples act as singles, the authors write. The conventional approach is to find things that the two partners can agree on and minimize or ignore the differences. The better solution, according to the authors, is to work together to move toward a shared vision of the relationship. The Money Trap. Debt is the problem, and the epiphany breakthrough is not to rely on discipline and restraint but to develop a fun scoreboard (the characters use a debt snake that gets cut shorter and shorter as the debt is paid) that helps you keep score, thus inspiring you to continue forward. The Change Trap. To avoid the pain, many postpone change for as long as possible or fall prey to the perfectionist argument: “If I can’t be perfect, I might as well not try.” The authors urge readers to change when their conscience tells them change is needed, not when circumstances leave no other choice. The Learning Trap. This trap stems from a lack of accountability and the inability to accept mistakes. The epiphany breakthrough, according to the authors, is to “celebrate the journey” — to not be afraid to make mistakes and recognize them as learning opportunities. The Career Trap. The conventional wisdom for dealing with this trap is to do what you love and everything will turn out okay in the end. The authors disagree and argue for a more systematic search for the right job that takes into account the four dimensions of a successful career: finances, ideas, passion and purpose. The Purpose Trap. In truth, this is the accumulation trap, in which people believe that “whoever has the most stuff wins!” Accumulation, however, does not buy happiness. “True happiness comes from providing service, making meaningful contributions and building lasting relationships,” the authors write. Trap Tales: Outsmarting the 7 Hidden Obstacles to Success is a surprisingly comprehensive overview of the challenges we face — some of them universal to our lives as human beings, some of them very specific to the digital- and consumption-driven age we live in.